I know, right? Who is ever excited that Monday has arrived? I don’t even have a 9 to 5 & I don’t like Mondays! After this last weekend though, man, I am downright excited that its over. It seemed to have started early for one thing. We skipped last week’s Learn to Run session with the Mid-Hudson Road Runners Club on Thursday. My person had plans for a networking thing- don’t ask, I have no idea what it means either, with Fabulous. I guess they had a good night, I overheard her rehash the event with her husband later. They met with a group of ‘unique’ ladies. That I looked up, it means ‘one of a kind’. Together they all sampled heavenly cheeses along with a wonderful glass of wine. Hardly sounds worth missing our training session, but she said that everyone was lovely and they spent much time laughing and chatting with new acquaintances. She said nothing about anyone’s footwear. On Friday, after waiting in the car while she worked (not complaining, was happy to do so after last time), we headed to Fabulous’s. I totally thought we’d be running but when we arrived, there were 100s of fancy dresses all over her driveway. People kept heading into the house and coming our with more too! They were sorting and hanging and, of course, talking and laughing. I heard the word “Prom” so often that I thought we were going to attend one. We joined the chaos and while I had hoped to be running, being surrounds by so many beautiful dresses, I found myself fantasizing about my person wearing this, that or another one and taking me dancing! Thankfully, all the chatter flying around above me alleviated my confusion as to what was actually happening. My person is a member of the Junior League and while I had always thought this meant she played baseball or something, it turns out to be far cooler- this group of women get together and do all sorts of fun volunteer projects which are focused on women &/or children in their communities. 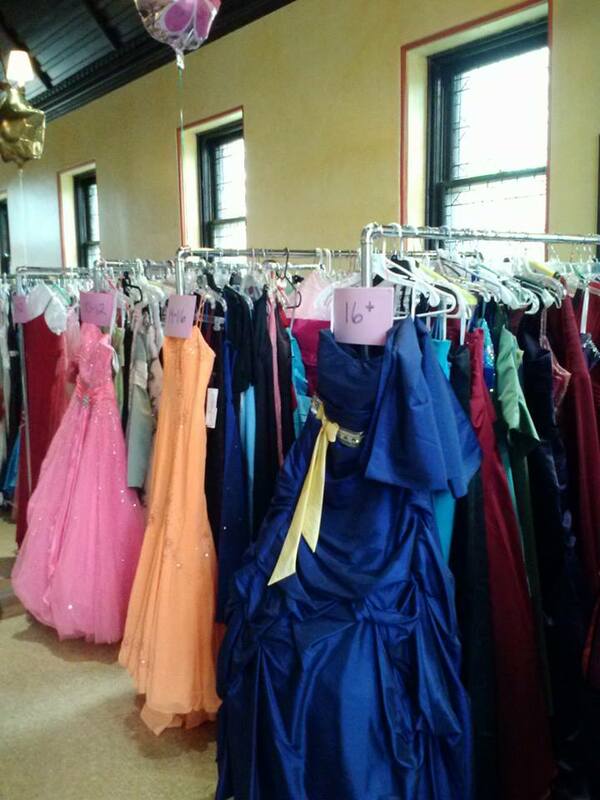 The project I was lucky enough to assist with was called CINDERELLA’S CLOSET– they collected new & lightly used prom dresses and were then going to arrange a boutique of sorts, where local high school girls who wouldn’t be able to purchase a dress to attend, would be able to come & select one- therefore allowing them to attend a right-of-passage event they might have otherwise missed out on! Cool, right? I was so caught up in the satin and tulle and rhinestones that I barely even realized at first that Strength’s person was helping as well. I also hadn’t realized that after all the sorting and subsequent loading of all the racks of dresses and boxes into a huge truck concluded, we’d be doing our weekly running workout. I also hadn’t realized it would be a new regimen either. So, just when I thought we were done, Strength approached and asked if I was ready. One minute of walking and then nine minutes of running, that’s what. Three time, of course. I’ll spare you the details. It wasn’t the prettiest run but we managed. I would even go out on a limb and say we’re improving. I mean, she’s still out of breath for much of it, and I still struggle with the whole supporting end of things but as each week passes, even though it doesn’t feel any easier we somehow get through harder and longer workouts. She often talks through them, and I have to give her credit, there’s no way I am at that point yet- Strength waits until we’re done to chat with me. The weather mostly cooperates too, so that doesn’t hurt matters. I hope Spring last forever! After they finished cooling down, I figured we’d be heading home but before we got there, we stopped at the home of another Junior Leaguer- I didn’t catch her name but she was wearing friendly boat shoes who informed me that we had just missed out on the sorting and hanging and loading of the second batch of dresses. There was more?! Turns out that in total, these women managed to amass over 400 of them. Can you imagine? I can. I can close my eyelets and picture 400+ dresses neatly hanging on racks, arranged by size. I can do this because… yay! I got to go to the boutique and see it all happen! We were up and out super early and the entire day flew by as girls came in, found their favorites and left with bags of dresses and huge, ear to ear smiles. They had their hair and makeup done by a professional, snacked on pink cupcakes and pink sugar cookies and pink cake pops- all to be washed down with pink ginger ale (who wants to drink non-pink ginger ale now?) and hopefully had as good an afternoon as the Junior Leaguers, all of which spent the day alternating between laughter and, for some reason, crying- or almost. Fair enough, having gotten to be a part of this experience, we had to help clean up. 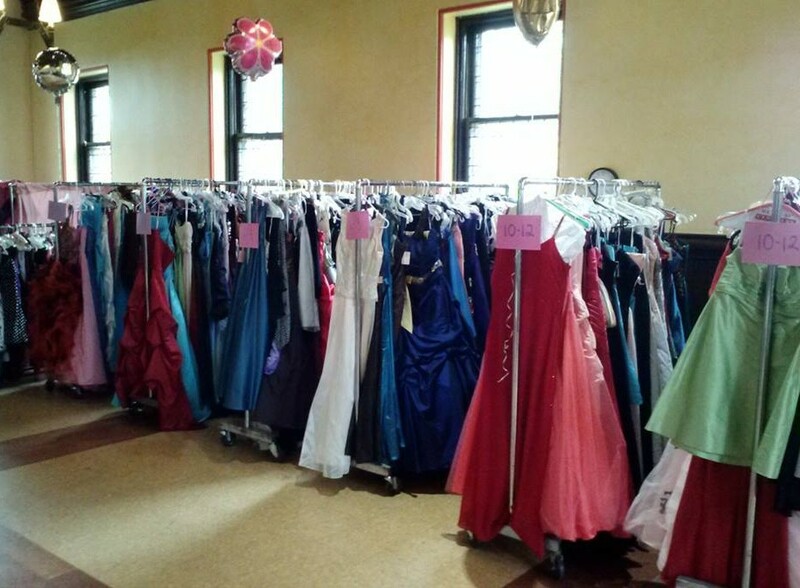 Even though so many young ladies were lucky enough to find the dress of their dreams- no one left with out one, there were still hundreds left over to be used for next year’s event. They had to be transported to a storage facility and while everyone was super tired, we managed to get everything put away in a few hours and thankfully, a group decided to stop for a bite and a beer before heading home, to bed! I say thankfully because while everyone dined above us, the shoes took a collective nap beneath the table. After a whirlwind day like that, I had assumed we’d all be spending Sunday doing a whole lot of nothing. But as my loyal readers know- assuming, it is never wise. Nope, the alarm sounded before 9am and after a quick breakfast of oatmeal we headed to the gym. Strength and Quiet awaited us on the rail trail that runs behind it and neither took pity on us for the day prior, seeing as they were both there too! A ridiculously long 45 minutes of walking and running later, we were still not done. Quiet took her leave of us- heading out on a day she didn’t look forward to much either, so I couldn’t even be jealous. Strength put us through the paces. There were planks and plank push-ups. There were an assortment of crunches. At one point, there was a giant stability ball. There was sweat and almost tears. There was also much encouragement. At one point, her person was literally on the floor next to mine, stop watch in hand, their faces inches apart while she called out the seconds and offered a constant stream of “you can do this” type chatter. How many people can say they have that kind of support system? My person is super lucky to have the friends she does, this weekend was a testament to that fact.